Do you see that? The light at the end of the tunnel? That’s right, only one month to go until the end of winter! But who’s counting, right? Spring is just around the corner, and with the warmer months come a whole selection of chic styles made for those wanting to step out and catch those first welcome rays of sunshine. 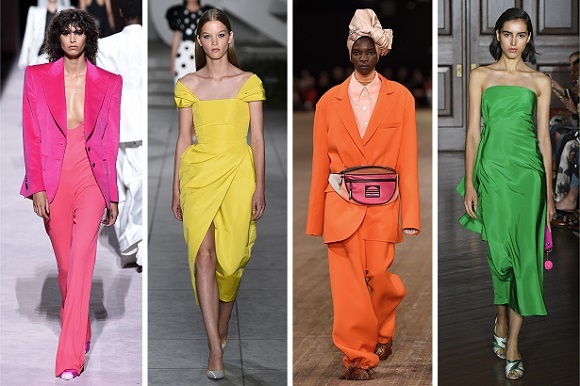 The coming months are sure to see some of the most exciting trends yet – channel your inner boss babe with power blazers and suits or turn into the ethereal goddess you know you are with a gorgeous ruffle dress. This coming season is all about having fun, pushing it to the limits and oozing confidence. This is one trend we can totally get behind! You might be thinking that power suits are SO ‘90s – but everything else from the 90s have made a comeback so why not a power blazer? Think bold shoulder pads, an oversized fit and vintage or checked patterns. Don’t be afraid to pair with skinny jeans, a statement heel or even a belt to cinch it in at the waist and go out and live your best life with your head held high. Extroverts and fashionistas will embrace this trend with open arms. Yes, we’re talking about stepping out in all red everything! Don’t be scared of going over the top – now is the time to raid your wardrobe and pair your pants, shoes, shirt, blazer and handbag all in the most vibrant shades of red you can find. Best of all? This trend will help you stand out of the ongoing all-black style trend that Melbourne is famous for. We understand that red isn’t for everyone. If an OTT all-red look is too much for you, start small by incorporating one red statement piece into your wardrobe like tailored pants or a bright skirt. Then, build your confidence and your wardrobe until you’re ready to be the lady in red. Otherwise known as the train driver, cabbie, newsboy or page boy hat, there’s no denying that this cap is going to be sticking around for a while. Just take a look at stylish celebs like Zendaya, Bella Hadid, Cara Delevigne and Suki Waterhouse who have all been snapped rocking this chic look. While this trend is perfect for the upcoming festival season (it was a favourite among SITG goers) it’s also versatile enough to be worn on the daily. Perfect for trading out your well-worn beanie or the ideal accessory for your favourite faux fur jacket and jeans. The best part? There are so many colours, styles and fabrics to choose from you can have one for every day of the week. Go on, cap off your wardrobe with a baker boy hat and feel incredibly and effortlessly chic. 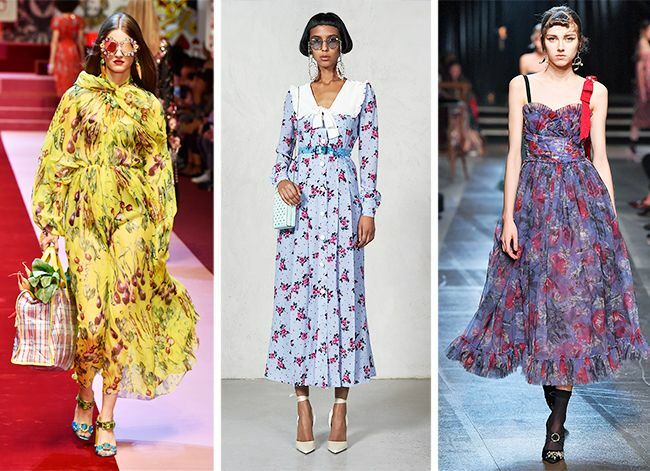 If you couldn’t yet tell, the theme for the coming season is ‘more is more’, and your midi and maxi dresses are no exception. We’ll see an extra layer of fabric added to classic styles to create an ethereal look that anyone can feel good wearing. The ruffle dress is the perfect option for those finding the power blazer and all-red trends too intense. For an ultra-feminine aesthetic this spring, think ruffle dresses in pastel florals (yes, ground breaking we know), stripes and orange and mint colour palettes. Yellow and gold will also play a big roll in colour this Spring/Summer. Look out for a new Sydney-based label in town, Vastire, launched only a few weeks ago in David Jones and The Iconic. You’ll love it, it’s a brand for women, not for mannequins, affordable and versatile without being ‘Plain Jane’. You can’t have enough cute trendy sneakers to mix and match with most of your outfits during the day. Oh so comfortable and oh so very stylish. A must in your wardrobe! If you’re feeling brave, pair your ruffle dress with a chunky or platform sneaker. 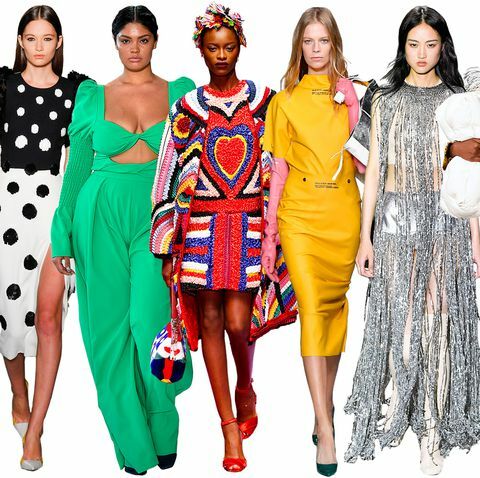 The spring/summer season is going to bring bold, bright and exciting trends that are sure to shake us out of our winter blues! Unsure how to pull off a power blazer or a bold all-red look? That’s totally ok! A visit from AK Style might be just what you need to help pull you out of the comfort of your winter comfort clothes.